Interested in our CA bins for fruit storage, but not definitely convinced yet? 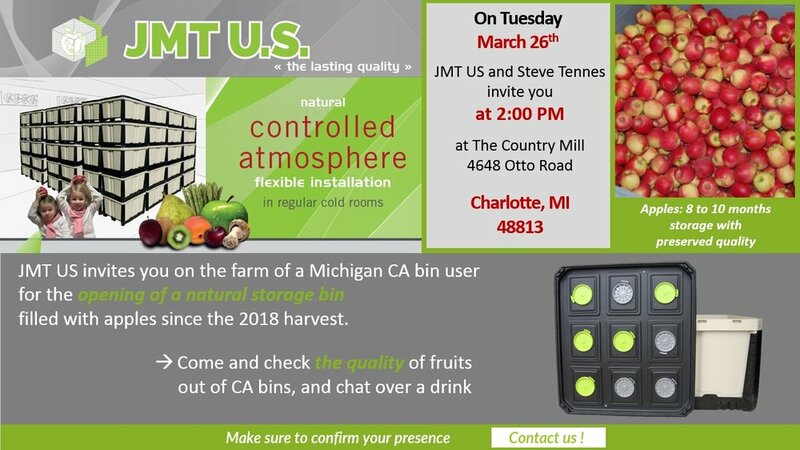 You are welcome in Charlotte, MI, for a bin opening we organize at Steve Tennes’ farm, the Country Mill. It will be the first time ever we open a 730 CA bin with guests, do not miss this opportunity to make your own mind about our storage bins and their ability to maintain longer the quality of your apples! Let’s meet on Tuesday, March 26th, at 2:00 PM.